The 2019 Kia Sorento has the sort of elegant and sporty style that you'd expect from a much more expensive vehicle. The sleek lines and aggressive stance of the 2019 Sorento hint at the spirited performance and unmatched levels of comfort available in the vehicle itself. Many reviewers have called the 2019 Sorento one of the most attractive mid-size SUVs currently on the market. In contrast, many have criticized the awkward exterior styling of the 2019 Hyundai Santa Fe. Of course, beauty is in the eye of the beholder, so you have to take a look at the new Kia Sorento at Bob Moore Kia for yourself. In addition to the stunning looks of the 2019 Sorento, it has several useful exterior features. The standard rear defrost technology will come in handy on those cold Oklahoma City winter mornings. The new Kia Sorento also has standard tinted glass that protects the privacy of occupants and reduces harmful UV radiation that enters the vehicle. The 2019 Sorento even has a rear spoiler that accentuates its sporty look while enhancing aerodynamics for sharp handling. If you're looking for a stylish mid-size SUV at an Oklahoma City car dealership, Bob Moore Kia has the new Kia Sorento available for your consideration. The 2019 Kia Sorento is built to suit families of all shapes and sizes. When designing the 2019 Sorento, Kia's engineers understood that the most important aspects of the interior of a family sedan are spaciousness and comfort. The 2019 Sorento has one of the most spacious cabins of any vehicle in its class. Comparing the 2019 Sorento to the 2019 Hyundai Santa Fe will make it seem like the Hyundai Santa Fe should be classified as a compact SUV. The 2019 Sorento accommodates 7 passengers in space and comfort. Some mid-size SUVs don't have standard 7-passenger layouts. Those that do are often cramped and uncomfortable. This is not the case with the new Kia Sorento. 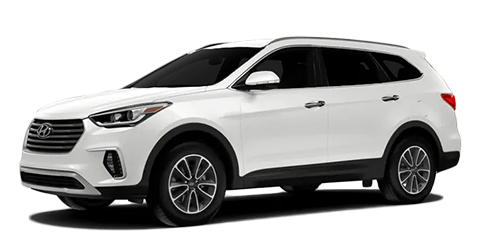 Meanwhile, the Hyundai Santa Fe only comes standard with 5 seats; you'll have to upgrade to the Hyundai Santa Fe XL to accommodate 7 passengers. The 2019 Sorento also has features like an optional electrochromic rearview mirror that reduces glare, which can be a problem in certain driving situations, especially at night. The new Kia Sorento also offers an available interior cargo shade to protect sensitive items from the sunny Oklahoma weather. You can experience the practicality and comfort of the 2019 Sorento at the Bob Moore Kia dealership in Oklahoma City today. Kia has long been known as one of the leaders for automotive safety. The entire current lineup of vehicles from Kia continues to elevate this trend. The 2019 Sorento is one of the most shining examples of automotive safety and occupant protection in the mid-size SUV class. Much of this success is down to the tough steel construction and the carefully placed airbags. The Kia Sorento also has several technologies that reduce the likelihood of being in a crash in the first place. The standard safety tech lineup is unmatched by vehicles like the 2019 Hyundai Santa Fe. Get more info on the impressive safety features in the 2019 Sorento at Bob Moore Kia. A family SUV does not necessarily need to offer spirited performance. A look at the other mid-size SUVs in the class, including the 2019 Hyundai Santa Fe, shows this to be the case. The 2019 Kia Sorento offers the sort of performance that makes every drive fun, even if it's just a routine errand through the city streets. The heart of the performance in the new Kia Sorento is the 2.4L 4-cylinder engine kicking out 185 horsepower. This powertrain is completed by a standard 6-speed automatic transmission which is capable of quick gear changes for sporty power delivery. The standard front-wheel drive drivetrain is stable and still provides agile handling. Drivers who plan on regularly taking the 2019 Sorento out in inclement weather or taking it off-road would be well-suited to the optional all-wheel drive drivetrain. 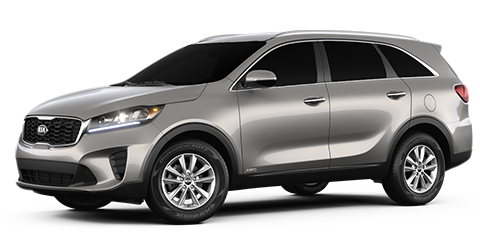 Take the new Kia Sorento out for a spin at Bob Moore Kia today. The 2019 Kia Sorento offers more standard tech features than you might expect from such an affordable mid-size SUV. The base trims of competitors like the 2019 Hyundai Santa Fe are quite bare bones and do not offer much in the way of technology. A look at the 2019 Sorento shows that this does not have to be the case in a midsize SUV class. The long list of standard tech features in the 2019 Sorento includes a standard auxiliary input which makes it easy for the driver to connect their mobile device to the vehicle with a secure and simple wired connection. The new Kia Sorento even has a standard hard drive in the vehicle so you can save media and access it whenever you're driving. Many drivers want to be able to wirelessly connect their device to their vehicle these days. The 2019 Kia Sorento makes it easy with standard Android Auto™ and Apple CarPlay™ functionality. Try the tech in the 2019 Sorento by taking a test drive at Bob Moore Kia today.